6:10am. Yet another morning where I’m awake way too early. Only this time it wasn’t biological. Well, for me. Of course, at this point, I’m thinking WTF? Why did we need to get up 45 minutes early? And apparently Cody wasn’t the only restless one. L asks me if I slept ok. I thought so? Instead, I’m told that I was fidgety and thrashed around most of the night. My only memory (which was fading fast as my body and brain began to emerge from sleep) was having some bizarre dreams (again, pretty routine for my world), but don’t really recall any thrashing on my part. But then, the girls are off the bed. Frantic rushing around, in and out of the bedroom. Back and forth to the master bath. Out into the great room. But never to the back door. Then the reality of the situation sets in. Our little radar ears have picked up the buzz. (Or was that just me with one last gasp of a snore?) 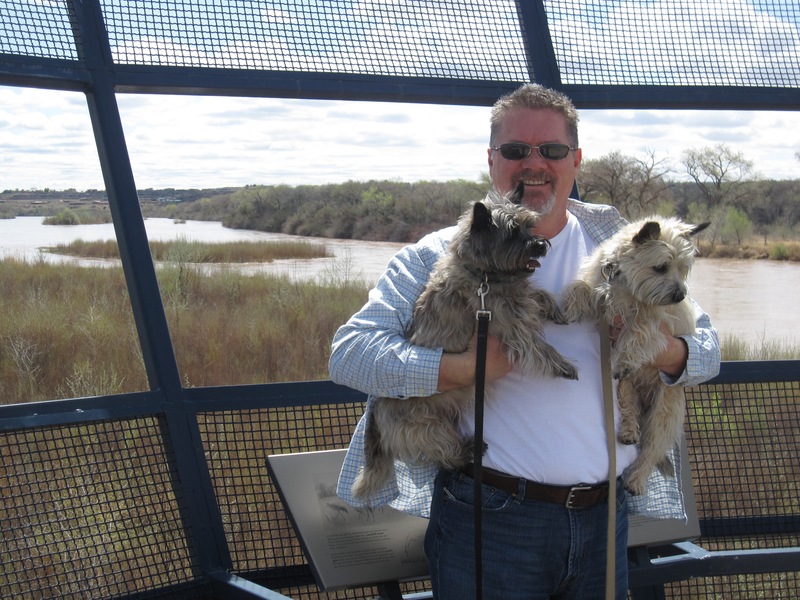 Our girls (Cairn Terriers, with mouser DNA through and through) are excellent fly hunters. They’re also quite good with lizards, bunnies, bird and butterfly shadows. They’ll pace and run around the house until that pesky little fly is caught. Or until it’s time for breakfast. Then Cody’s food-driven obsession takes over. It’s only while I’m cleaning up their breakfast dishes do I locate the culprit. It’s buzzing in the window above the kitchen sink, where, with one swat of the dishtowel (Hey! It was going into the laundry pile anyway! ), the distraction is gone. Just like the last hour of sleep that now I feel I so desperately want.